Something steaming hot and deeply fried with a cup of tea is what most crave. As the first drop of rains hit the parched earth, what is the food that you crave? Pakora, Bhajjiya, Misal Pav? Something steaming hot and deeply fried with a cup of tea is what most crave. No matter how fattening monsoon delicacies may be, they never fail to add some much needed spice to our daily mundane lives. The monsoon has arrived early this year, and while it does guarantee some inconveniences along the way, the rains do give us an opportunity and excuse to try our hands on some delectable monsoon treats. These comfort foods give you that warm feeling inside and make any rainy day perfect. A deep fried potato patty placed in bread called pav, with condiments such as chutney, red chilli powder and green chillies. Mashed potatoes are made into balls , coated and mixed with green chillies, ginger and tempered with mustard seeds and turmeric. 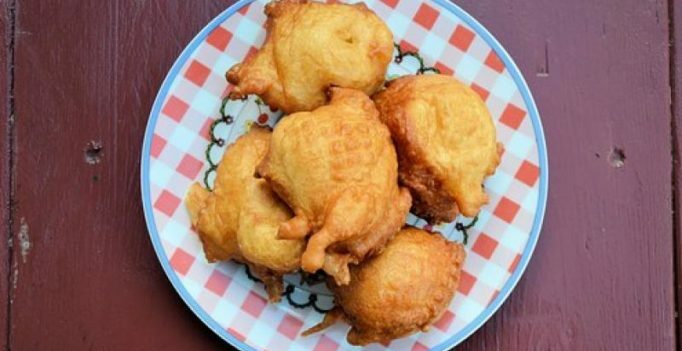 They are then dipped in a herb-seasoned batter made out of gram flour, after which it is deep fried. The vada is then wrapped in bread. This flaming Indian burger is popular for its tangy taste during monsoon season. Who can resist the smell of crisp kanda bhajis? Without doubt, it is the numero uno rain food in India. Slices of onions and finely chopped green are dipped in chickpea batter or besan and then deep-fried. As we watch the rains from our windows, we relish this heavenly treat with chutney. The crunchiness of the fried onions, makes you addicted to its taste, despite the oiliness. Stop by India’s roadside stalls, which are the best places to savour these. Every foody’s dream during monsoons is about to be fulfilled in Goa, as they serve freshly baked pao filled with Goan sausages. Large quantities of vinegar, garlic, spices and pork creates a distinct smoky flavour, making an appetizing snack year-round. Sit on the tranquil beaches of Goa, and munch a chorico pao as you watch the rain pour on the beach. This scrumptious, spicy, tangy steamed snack made with besan and garnished with butter, sev and coriander, is an evergreen snack, but is relished more during the rainy season. In Surat, this dish is popularly known as Surti Locho. Several versions of this dish are there, with twists of garlic, cheese,etc. No matter which version of this dish you try, it is sure to melt in your mouth and satisfy your taste buds. Monsoon is here, so is bhutta (corn). Find bhutta vendors on every street corner, roasting cobs over red hot coal in their barbeques. Take a pinch of salt, a slice of lemon and chilli powder and rub it on the roasted corn to enjoy this mouth-watering Indian snack. The perfect mix of healthy eating and yummy, tangy food, fruit chaat bites and chutneys go hand-in-hand, giving you the perfect set of flavours. Taste the golden glory balls of boiled potatoes and channa that are fried. Relish this hot, crispy dish. Unveil the magic of spices with a bite of aloo tikki. How about hot samosas on a rainy evening? Stuffing moong dal in samosas, would create a hearty dish, perfect for rainy, gloomy days. Enjoy your all time favourite traditional samosas, but with a tinge of twist as it gets a hearty stuffing of moong dal. Boil the bananas, mash them and mix it with rice flour. Then stuff a filling of masala, to create your very own Raw banana kachori. Don’t miss out on this one! Eat it with yoghurt dip to enlighten your senses. These are some of the main monsoon delicacies in India that you must try in India. Try these once, and you will never stop craving them every monsoon season! 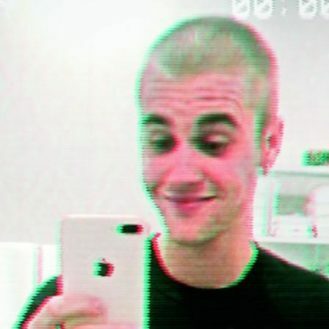 Image shared by Justin Bieber on Insta; Justin Bieber just shaved off his iconic long-blonde locks and fans have gone wild speculating why, reports EOnline.com….